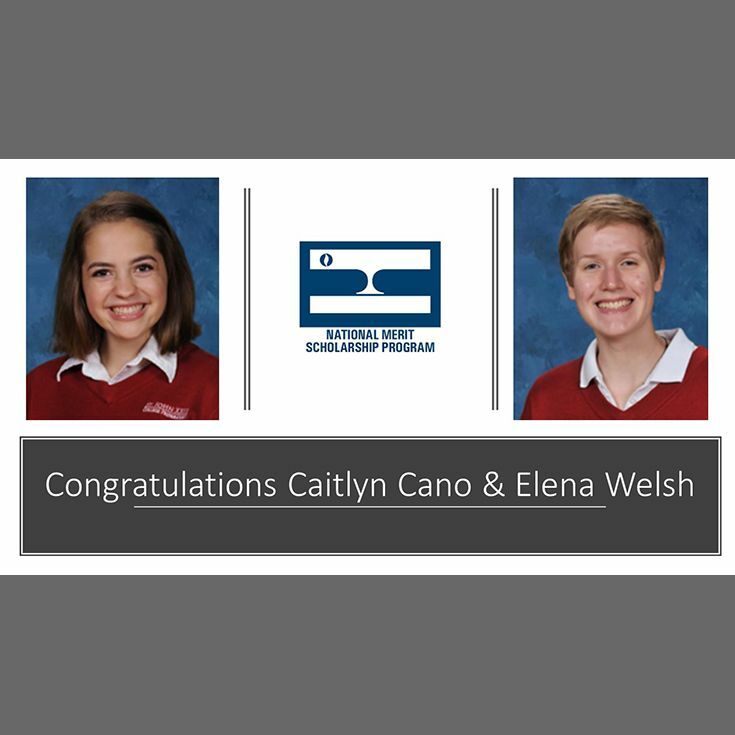 Mr. Tim Gallic, Principal of St. John XXIII College Preparatory, Katy, Texas, is pleased to announce Caitlyn Cano and Elena Welsh have been named Commended Students in the 2019 National Merit Scholarship Program. A Letter of Commendation from the school and National Merit Scholarship Corporation (NMSC), that conducts the program, will be presented to these scholastically talented seniors. These young ladies have demonstrated outstanding potential throughout their high school years at St. John XXIII College Preparatory, a competitive, co-ed, Catholic high school. Nationwide, nearly 34,000 commended students are being recognized for their exceptional academic promise. Although they will not continue in the 2019 competition for National Merit Scholarship Finalist standing, commended students place among the top 50,000 scorers of more than 1.6 million students who entered the 2019 competition by taking the 2017 Preliminary SAT/National Merit Scholarship Qualifying Test (PSAT/NMSQT).